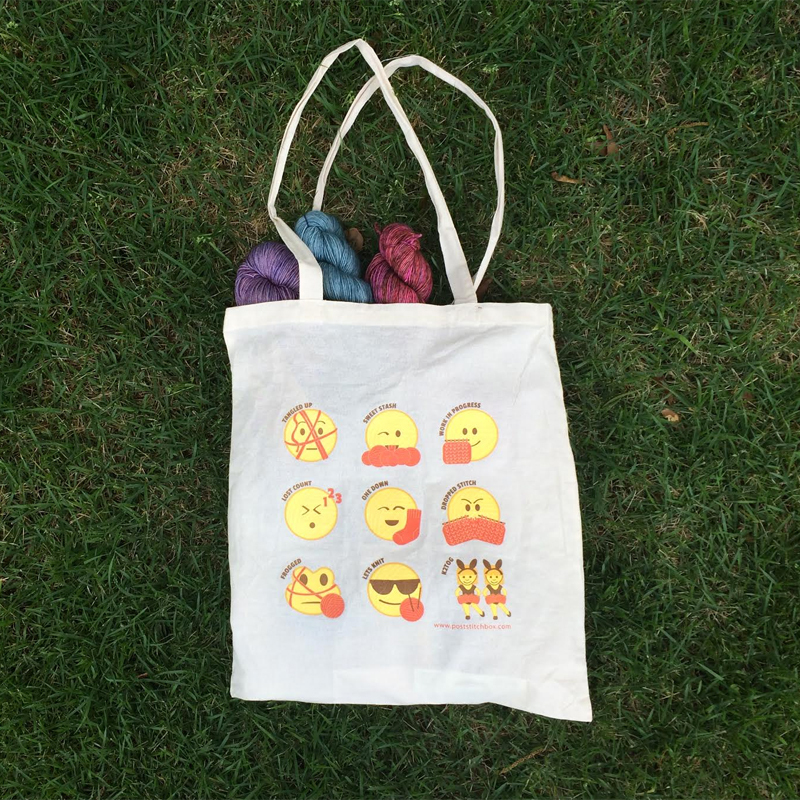 We put our original, hand drawn by us knitting emoticons on a tote! A tote that finally captures the true emotions of knitters without having to say a word! 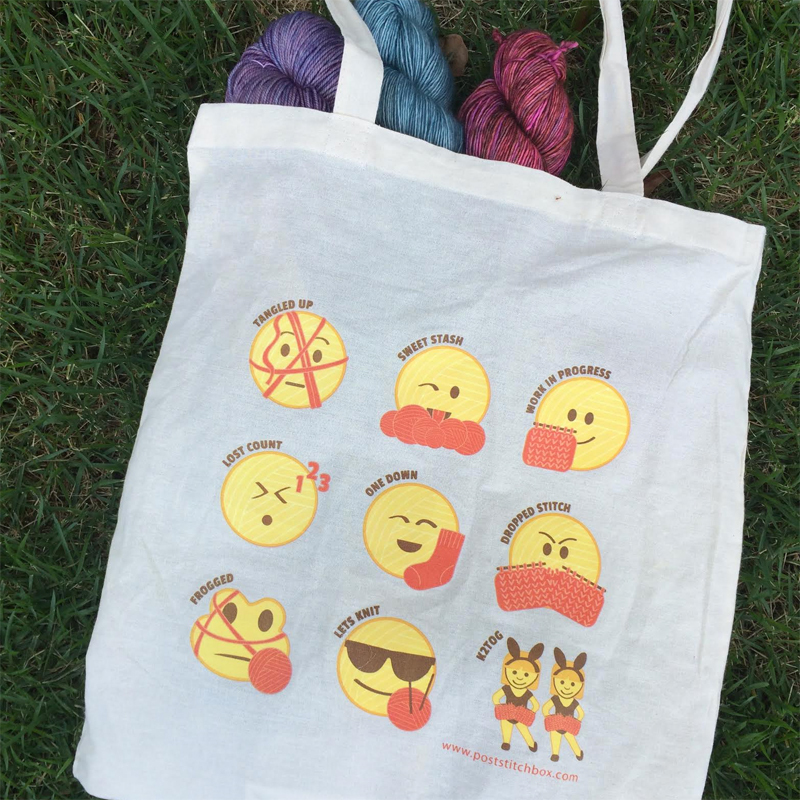 Featuring 9 of our original knitting emoticon designs, this 100% cotton bag is the perfect bag to tote your WIP, knitting accoutrements, school books, or, heck, just about anything. Bag measures 14.75"w x 16"h and has 27" reinforced handles. Hand wash only.